Whether online or on the open road, the smoothness and ease of our journeys affect how we feel about them. 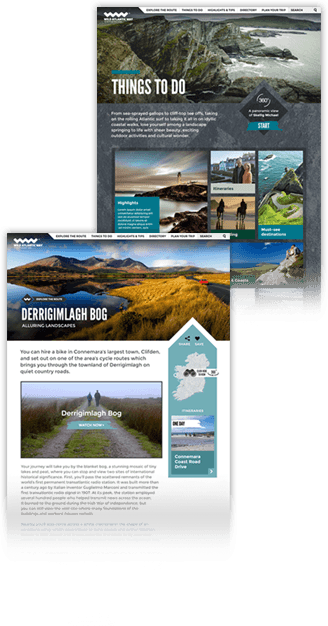 Our work on the Wild Atlantic Way website simplified the interactive journey for those interested in visiting the west of Ireland. We created an enjoyable online experience that provided users with the freedom to explore and plan unforgettable adventures from any device. 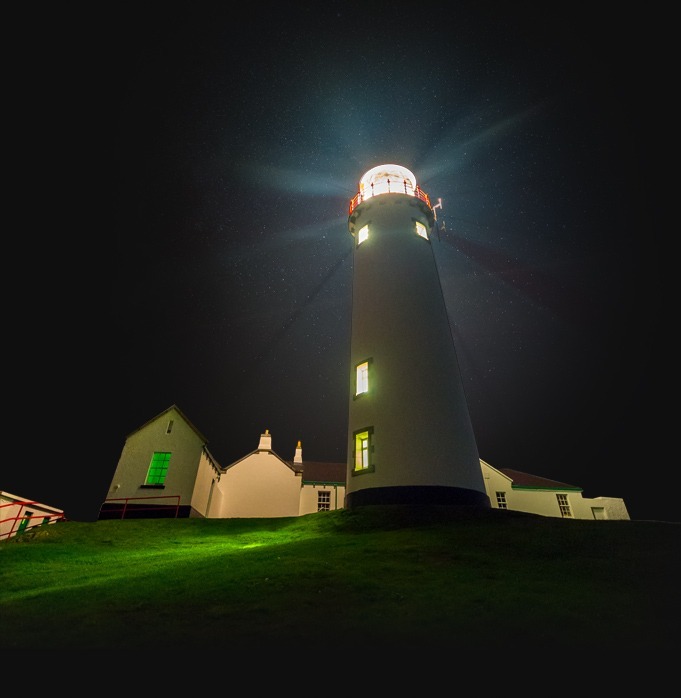 WildAtlanticWay.com is the official website of one of Irish tourism authority Fáilte Ireland’s key assets. 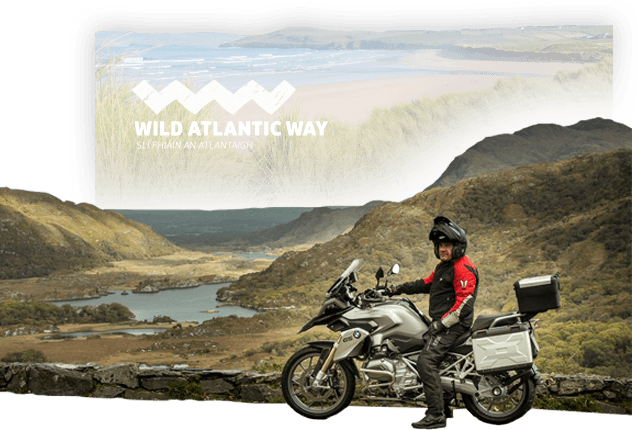 The Wild Atlantic Way is a coastal touring route running from Malin Head to Kinsale Harbour, covering 2,500km & nine Counties. 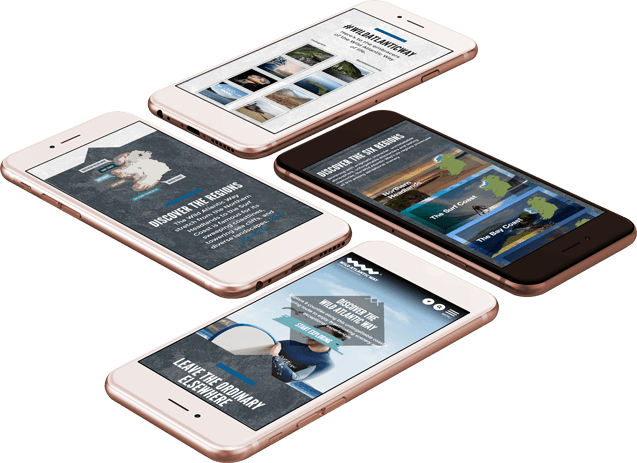 Fáilte Ireland asked us to create a website that would change perceptions of tourism in the west of Ireland and encourage new visitor groups to discover the Wild Atlantic Way. Simplifying the customer journey would be a key factor in achieving this. With the touring route covering a wide geographic area and incorporating many individual attractions, planning a visit could be overwhelming, which was resulting in abandoned bookings. The lack of responsive design was also causing poor customer experience on mobile and tablet devices. This was a key concern as many users were international visitors who relied solely on mobile devices to research and plan their trip. 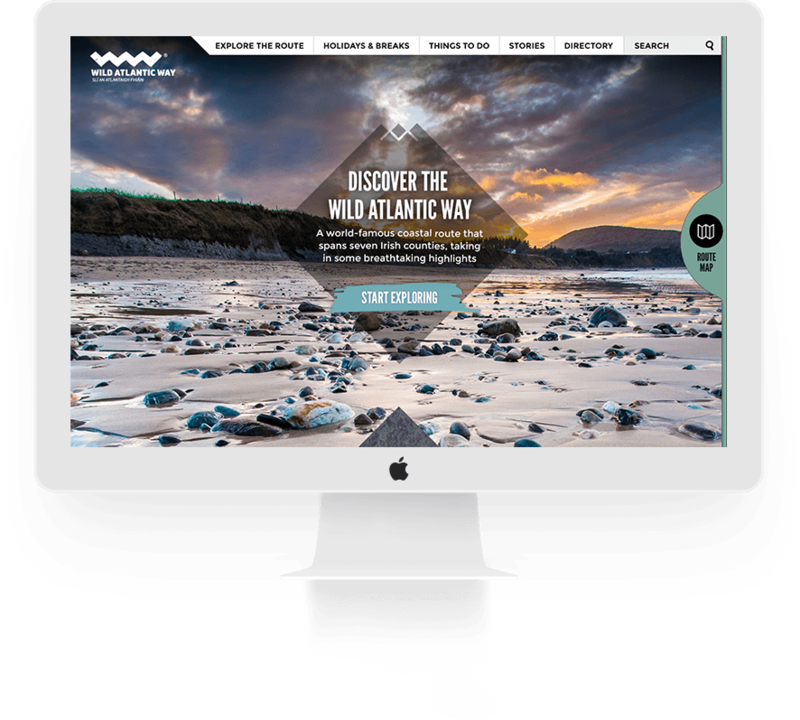 We set about making the Wild Atlantic Way website less daunting by incorporating user-centred design. This process started with user experience research, including customer journey analysis, to establish how people use the website and where improvements could be made. On the basis of the research, we redesigned and redeveloped the website to make it fully responsive and more engaging. We adopted an architecture built around five main sections to allow for easy navigation. A full-screen design with off-canvas maps, which slide in when activated, also made navigating the site easier. The homepage incorporates an immersive full screen hero image with a ‘Start Exploring’ motif to encourage users to begin their own journey planning. Wireframes and final designs both went to stakeholder and customer workshops to confirm everything worked as intended for both Fáilte Ireland and tourists. Thousands of attractions, events and businesses can be filtered on the website to allow visitors to find the most relevant content. The listings are also integrated with Fáilte Ireland’s main database, ensuring content remains relevant and up to date. A key finding of the UX research was that we needed to present the Wild Atlantic Way in bitesize chunks: a clearly presented selection of attraction categories from which users can choose their favourites, rather than a page of individual listings which can be overwhelming . The ‘Highlights’ page was newly created, intended to be a hub for information on unique and interesting places to visit and attractions not to be missed. We created a ‘Plan Your Trip’ page which presented six clear categories and the ‘Explore the Route’ page helps visitors to plot their journey and favourite attractions. Users are encouraged to register on site to save their trip planner, encourage repeat visits to the site. This personalisation encouraged the storytelling, social media interaction and visitor-generated content that would be essential to the website's long-term success. 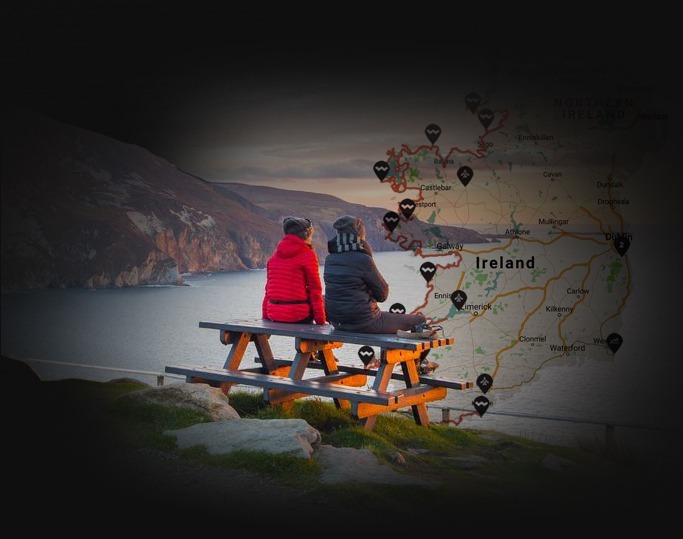 WildAtlanticWay.com provides tourists with a streamlined journey on any device when planning their visit, exploring the route and sharing their stories. The website won two Spider Awards for ‘Best Digital Geography and Location Based Services’ and ‘Best in Travel, Sport, Leisure and Tourism’. More importantly, Fáilte Ireland is confident that our approach has secured repeat visits from tourists who want to take in the full Wild Atlantic Way over the course of multiple trips.